We know that a perfect way to end the first day our conference is a fabulous Gala evening together with old and new friends! Other ingredients should include good food, refreshing beverages and something extra fun. And this is the Chicago edition! 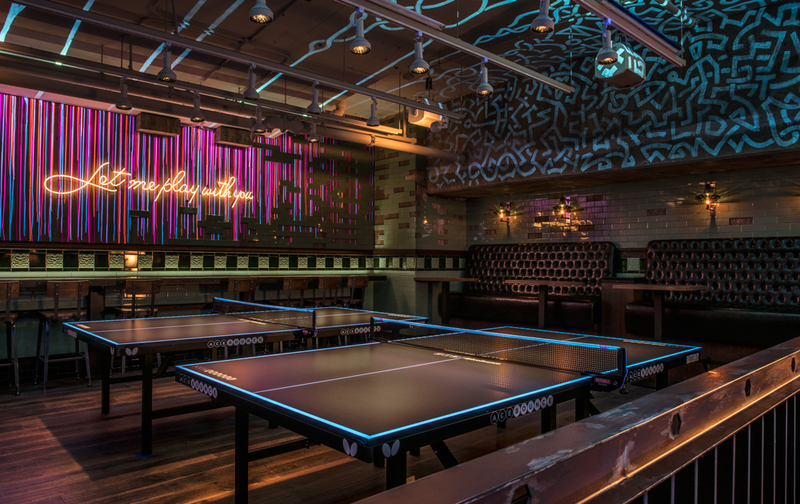 Welcome to a fun and playful evening at the table tennis club Ace Bounce – the home of PING PONG. Ace Bounce offers an immense subterranean playground. Filled with ping pong tables each with their own party going. All kept in perpetual motion by DJs. And topped off with generous servings of food and beverages by award winning chefs & mixologists. Perfect for our conference! We are sure you will enjoy a night with a game of table tennis and a bite to eat with your customer, your IBMer or that other business partner! Register for Social Connections here and then check your email for the registration link to this evening event! Make sure you secure your spot to our fabulous gala night! 1 ticket per attendee.